There are so many languages in the world when people communicate with each other, and so do IT programming languages. 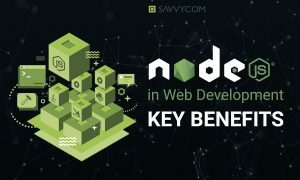 With their own function, the way of usage and variation, each IT language has proved its strength and advantage in their particular main field. Among them, PHP and Python are the 2 most prominent candidates for your choice. So, how can you choose between PHP and Python? Let’s check out some comparisons to figure out! Which operating system and web server PHP and Python can run on? First, with PHP, what do we have? It is said that the intention of creating a PHP language is to produce dynamic web pages in web development. More specifically, server-side scripting is one typical advantage of PHP to ‘win over’ Python if we still doubt about our selection. What CGI (Common Gateway Interface) program can do, PHP can too. From generating dynamic page content, collecting form data to sending or receiving cookies, nothing can be difficult when you have PHP in your hand! Back to its main core strength of PHP, server-side scripting, we need to provide 3 things to make it run properly: the PHP parser (CGI or server module), a web server and a web browser. Once you install PHP connection, run the web server, now you can access to the PHP program output with a web browser, therefore you are able to view the PHP page through the server. The second advantage of PHP you can’t miss is command line scripting. One good point to run it compared to server-side scripting is that you only need the PHP parser. A web server and a web browser, in this case, are not necessary. And how can we use this convenient and minimal type of scripting? Well, it’s dedicated to scripts regularly executed using cron (on *nix or Linux) or Task Scheduler (on Windows). Simple text processing tasks can be applicable to this case, because of the convenience of command line scripting. Last but not least, writing desktop applications cannot be excluded in the core strength list of PHP language. Maybe it’s not the most optimal language to build a desktop application, but if you are an expert in PHP language, it did pay off and you can manage to do it. Some advanced PHP features like PHP-GTK can support you in improving graphical user interface in your website, as well as writing cross-platform applications. If the main purpose of PHP is to produce dynamic web pages, Python finds its own ‘life purpose’ to shine. 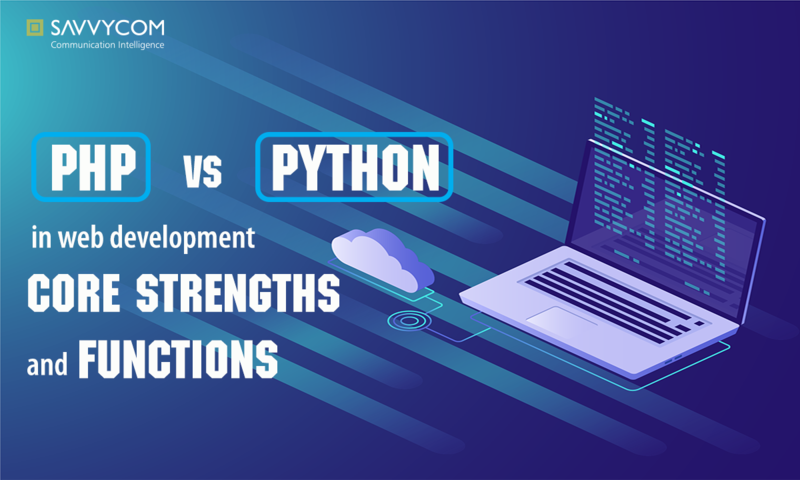 With the intention to emphasize productivity and code readability, Mr Guido Van Rossum invented the Python language to assist programmers to complete their tasks faster. Specifically, on web development, you can develop a web application with the eminent assistance from Python. There are libraries for internet protocols in Python language like HTML and XML, JSON, email processing, FTP, IMAP, and easy-to-use socket interface, which is definitely helpful for programmers. Being one of the most diverse IT languages, Python has quite many prominent features that outshine PHP in their niche field. In the ‘battle’ of how easy to learn, Python totally defeats PHP. Python is an easy language. ‘Very friendly welcome’ to beginners. It is recommended by programmers due to the simplicity of its syntax, and it seems to have no barrier for beginners to learn and understand Python language. In contrast, PHP is more difficult, requiring you some basic knowledge about the C program. It is not necessary that you have to learn C program first, but there will be some obstacles of understanding if you are not familiar with the C program at the beginning of learning PHP. As you may know, Python is executed line by line. That’s why it is much easier to test and debug during the web development process. One of the most remarkable features of Python, in my opinion, is Free and open source. It is totally FREE to have access to the language and its source code. A costly license doesn’t exist with Python, and it is such a great way to save budget in doing other improvements. What can be more amazing than this wonderful free language? And if you use PHP-GTK to develop the Graphical User Interface (GUI), Python has its own ‘weapon to fight’: Tkinter to solve this challenge. Last but not least, the large standard library Python provides is the truly convenient core strength of the language. With the support of the library, you now can implement a quite amount of functions without reinventing the wheel every time. So simple, just pick the code you need and continue. Two words I can say about that: ‘So many!’. Because the creator of PHP language, Mr Rasmus Lerdorf, don’t want to have any limit of the language to any operating system. That’s why PHP can be applicable on Linux, Microsoft Windows, Mac OS X, RISC OS, numerous Unix variants (including HP-UX, Solaris and OpenBSD) and so on. In this operating system match, Python is very competitive too. As I mentioned above, Python is an open source, so basically, it can run on Windows, Linux, Mac and any other platform. You don’t need to change for every machine to make your program work. So, I guess this round is drawn. Which web server does PHP support? The same answer as ‘Which operating systems’: a wide variety: Apache, IIS, any web server utilizing the FastCGI PHP binary (such as Lighttpd and Nginx). Don’t be so surprised if I told you PHP can work as a CGI processor. Such a versatile IT language! So, PHP open whole new, almost-unlimited choices, not only operating systems and web server I mentioned above, but also procedural programming and object-oriented programming (OOP), and even a mixture of both. Amazing! Remind you, Python is also an object-oriented language. Considering this object-oriented field, I’m not sure which one is the winner. But, PHP has another advantage. The limitation to output HTML with PHP broke off. Now, we can output images, PDF files, Flash movies and of course, any text as well. With the ability to auto-generating these files, save them in the system, PHP can form server-side cache for your dynamic content.